Imagine your dream home bordering mountain jungles and breathtaking tropical beaches. Our beautiful ocean and mountain view properties are the most desirable locations in all of Costa Rica. At Costa Rica Dream Homes, we understand your needs. 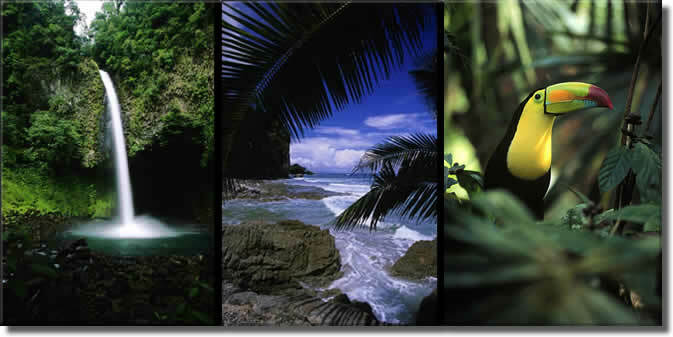 Our goal is to help you find the best Costa Rican investment and vacation properties available. 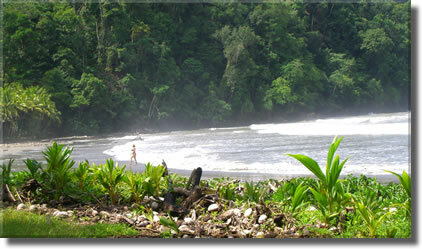 Our real estate team has years of experience buying and selling land in Costa Rica. You can trust this team to help your Costa Rican dreams become a reality. The Southern Pacific Properties are located in the beautiful Southern Pacific Region near the Oso Peninsula. Every property is fully serviced with roads, water and electricity. Our ocean view and tropical rain forest properties create an unbelievable setting for potential owners. While working with nature -- never disturbing any primary forested areas -- these developments are host to an abundance of wildlife, rivers and waterfalls. A short walk to downtown, our Jaco Beachfront Properties, will provide all the luxury and tranquility you will need. Jaco is a casual place where you’ll feel comfortable wearing whatever you have on. This oceanside town operates on "tico time"; it won’t take long for you get into the slower rhythm of life here. We welcome you to discover an exotic Costa Rica property that is not only a valuable investment but a hideaway from the hectic pace back home.